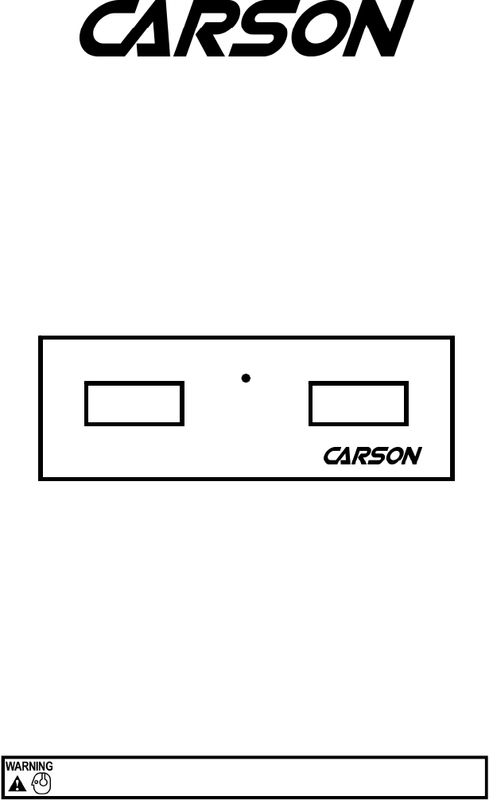 Carson is a trademark of Carson Manufacturing Company, Inc.
Sound Hazard - Sound level from siren speaker (>120dBA @ 10 feet) may cause hearing damage. Do not operate siren without adequate hearing protection for you and anyone in immediate vicinity. Carson is a famous company that produce different equipment such as automotive. We accumulated 69 rare pdf user guides related to this supplier . Now you're reading a user guide for Carson Car Amplifier SA-365-10.